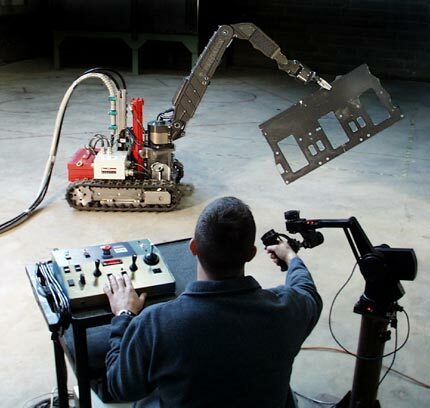 In preparation for the Scientech Quehanna D&D project, A Kraft Predator arm mounted on a mobile platform demonstrated the ability to perform a variety of hot cell decommissioning tasks, including the cutting of steel plate with an abrasive saw. 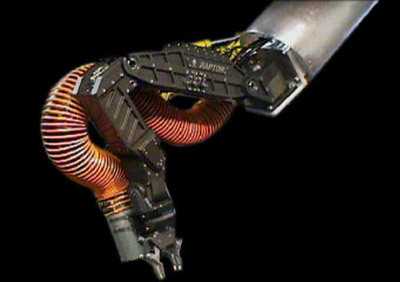 ReTRIEVR is a long-reach robotic positioning arm for deployment of a high dexterity Kraft manipulator within storage tanks and silos. 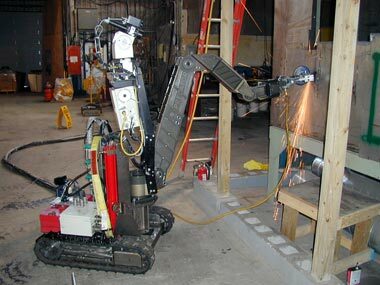 Made up of individual links measuring 17 inches in diameter by 10 feet in length, ReTRIEVR is capable of positioning the Kraft arm and tooling over 60 feet from the point of entry. 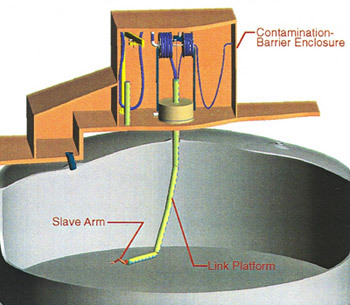 The Framatome ReTRIEVR project utilizes a Kraft Raptor force feedback manipulator arm for the retrieval of chemical and nuclear waste from confined-space tanks and silos.